Event Espresso 4 (Beta) is now available! This is really exciting and there is a lot we’d like to share with you! How do I get access to EE4? EE4 is currently available to the public for sale and is released to Event Espresso 3 users for FREE. If you purchase a EE3 Support License you will also have free access to EE4. You can even launch your own demo site for EE4 in just a few minutes. Click here to get started with your EE4 test drive site! Attention Bloggers – Wanna get your hands on a free copy of EE4 to review or want to do an interview? Please reach out to us on Twitter, Facebook, or contact us. How is EE4 different than EE3? EE4 is very different from EE3 in more ways than we can probably list/describe/remember—so you’re going to want to check it out. In general there are several important changes to the EE4: features, user interface, data structure, coding method and price. 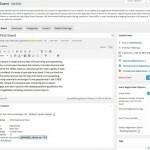 The user interface has been rebuilt to follow the new WordPress 3.8+ standard. We’ve rebuilt all the pages, added new icons, added mobile browser compatibility, optimized notifications and much more. We believe that EE4 is more elegant, easier to use and more powerful all at the same time. The data structure has changed so that some event data is now custom post types (CPTs). 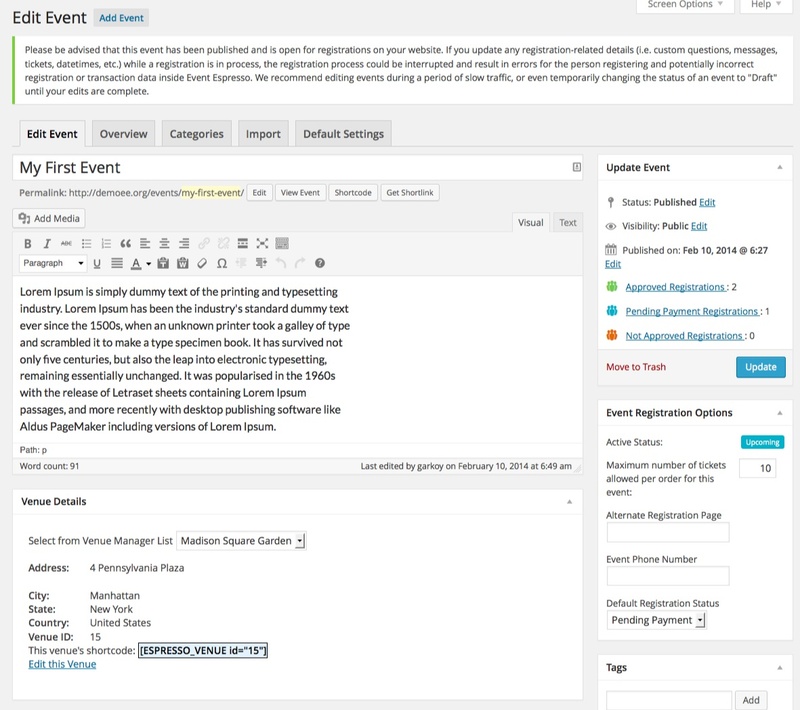 CPTs make event-related data more available to standard WordPress functions and themes. 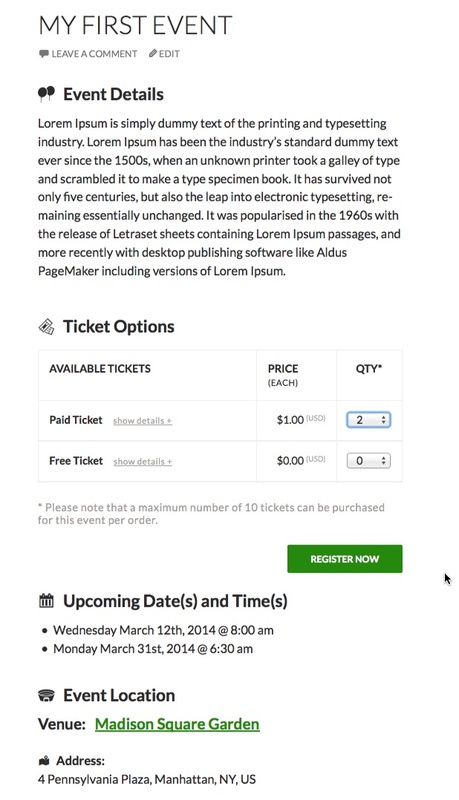 This will make Event Espresso more accessible for both back-end (core) developers and front-end (theme) designers. The coding method has changed from procedural coding to more heavily object-oriented programming. That means there are more files, but less code to do more advanced things. Experienced developers should appreciate all the work that went into this change. 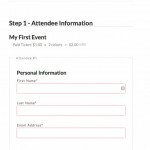 We believe it makes our event registration more powerful and robust, helping make your event registration experience better. We really think you’ll like what you see—especially as you get used to EE4 and realize all the new types of events it can power. We will continue making improvements in all of these areas and look forward for what is to come. While “in Beta”, Event Espresso 4 will be discounted significantly (approx. 50%). As the EE4 matures to a “stable” development status, the price will rise. Those who purchase at this discounted rate are still entitled to 12 months of support and upgrades. Here are a few screen shots to show off some of the awesome new features! Why did we spend so much time and money building Event Espresso 4? We have sought feedback from you, the thousands of event managers and developers who rely on Event Espresso to make their events successful. Your feedback has focused on one general theme. You want Event Espresso to do more and be more stable. It is difficult to add more features to a system that was initially designed to for a more narrow focus. As we continue to add those new features Event Espresso has become more difficult to use, setup and/or customize. The added features has also made the core code more complex and less reliable, thus the increase in bugs. As your requirements for Event Espresso have evolved (and continue to evolve), it became clear that parts of the code have gotten too complex and must be refactored in order to support new ideas. The longer we delayed refactoring Event Espresso, and the more code is written for EE3, the more difficult it becomes to refactor Event Espresso to meet your needs today and in the future. 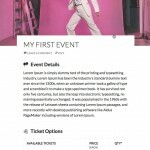 In short, we spent a lot of money and several years building Event Espresso 4 because we wanted to help you and your events be more successful. Why did it take so long to build Event Espresso 4? All those systems are quite interconnected and complex, so updating it took a lot of time and resources. We’re just as frustrated EE4 took as long to release as you, but we feel this decision will be the best for you in the long-run. 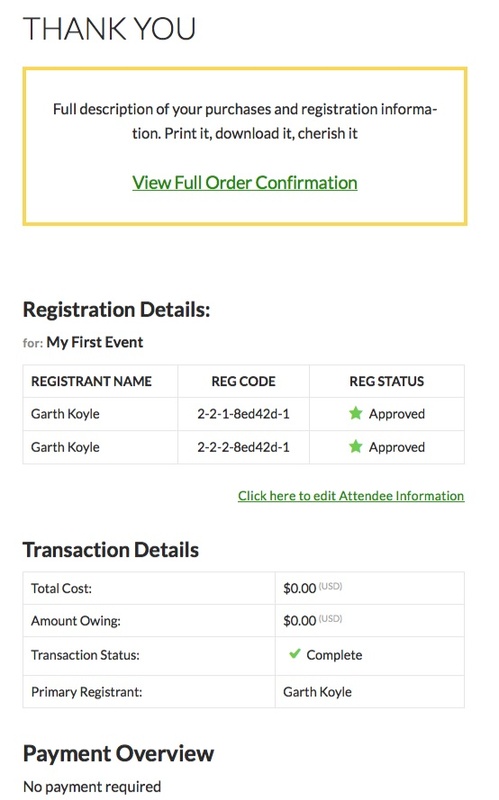 We’re confident that we (and other developers) can build really great event registration websites on EE4 for a very long time to come. What’s coming next in Event Espresso 4? We view our roadmap in two ways: short(er)-term projects and long(er)-term projects. Our roadmap is subject to change at any time. Making EE3 add-ons compatible with EE4. Integration with third-party plugins and services. As always, you’re invited to participate as developers or sponsors. What’s the plan for Event Espresso 3? EE4 beta begins the official process of phasing out EE3. Going forward, we will focus new feature development resources on EE4 and only maintenance resources to EE3. As the EE4 feature set (including add-ons) exceeds those that are currently available with EE3 we will no longer sell or support EE3. Those who purchase a EE3 support license also have access to the core EE4 files and we recommend that they evaluate EE4 to see if will meet your needs at this time. We have provided tools to use EE3 data in EE4 which can help you start using EE4 sooner. 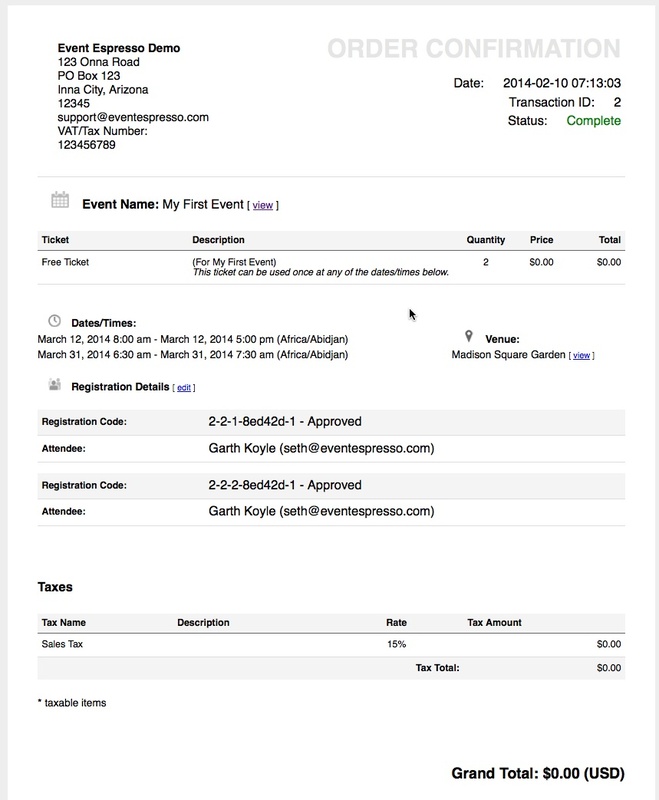 The future of event registration and ticketing is with Event Espresso 4 and we hope you’ll join us today for that amazing journey. Can I Use EE4 instead of EE3? Depending on your situation you might (or might not) want to replace EE3 with EE4. In general, our recommendation hinges on: what features you require, and whether you want to use your EE3 data in EE4. None of the EE3 add-ons are compatible with EE4 at this time (but they are on our short-list). You will need to make the determination about which features your project requires and which Event Espresso version will meet your needs. Event Espresso 4 is ready to accept unaltered data that has been prepared by Event Espresso 3.1.36 (or greater). If you’ve not modified your EE3 database structure then you can migrate your data from EE3 to EE4. If you have modified your database structure, the migration scripts may not function properly (see below). As a good practice, please backup your website database before migrating. If you are using Event Espresso version 3.1.36 (or greater) without customization that changes the data structure (e.g. additional database tables, columns, etc.) you can migrate your database from EE3 to EE4. We recommend NOT migrating your EE3 data to EE4 if you: have customized Event Espresso database tables or columns that weren’t included with EE3 OR are using EE3 on a multi-site installation of WordPress. What is the development status of Event Espresso 4? After years of development and months of testing, we have finished adding features (to this version) and all major bugs have been resolved. We do expect you to be able to use EE4 as if it were a stable product, with the exception that additional bugs may be identified through more extensive testing with your specific use-case. Please report any suspected bugs to the support forums. For a short period, we will be focused on fixing bugs that are found by users and that can be verified by our support staff, then release patches ASAP. After EE4 is released as a “non-Beta” product we will commence work on our development road map. We have spent, literally, thousands of hours developing, testing and debugging EE4, but undoubtedly some of you may encounter issues with EE4 while testing it in your given use-case, the plugins and themes you use, etc. Please report any unexpected behavior, error messages, or bugs to the support forums so we can keep all the requests organized and fixed as soon as possible. Please create a new thread for each issue so that it can be addressed specifically. Otherwise it might confused with other issues or missed among a lengthy discussion. As a good practice, please backup your website database before using EE4 on the same website where you are using EE3 and before migrating. 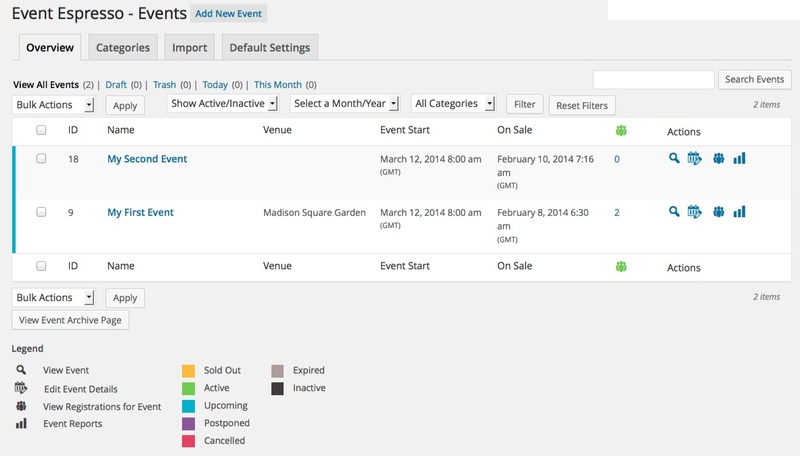 Event Espresso 4 is a big step forward in the functionality and power of WordPress events plugins. We really think you’ll like what EE4 is now, what you can do with it now, and what it will become. Launch your own test drive of Event Espresso 4 in minutes and let us know what you’re thinking. Congrats, guys! The screenshots look awesome! Wow ! As soon as you get Waiting lists I’ll moove up to Event Espresso 4 — that’s an essential feature for me. Looking foward to get this ! Thanks for all the work. How long for the moneris gateway to refactored?? This looks great, and I really love the Contacts section and the Price modifiers over the coupon cods (although those would be great added back. I’m really missing Wait Lists, MailChimp integration, Multiple registration, and more Payment gateway options. Please add soon! But looking good! Hi!! it’s look very good! i tested and it is very interesting. Good job! when i can use price modifier or similar in EE4 i change in my web. I need it for my sport event!! 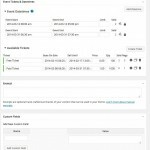 Will EE4 integrate with Quickbooks Pro? where are the QR codes, there is not any mail that send ???? Can you explain more what you’re referring to? If you’re talking about the EE3Ticketing Add-on then that is not yet compatible with EE4. 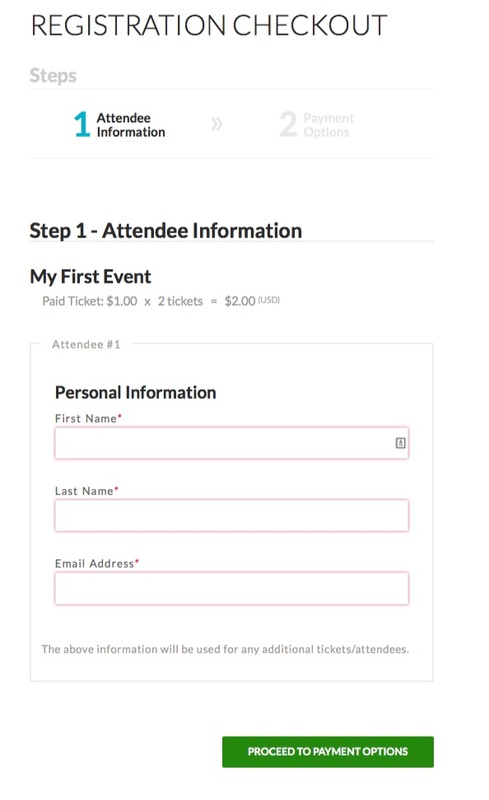 Does not seem you can have an event without a registration form. 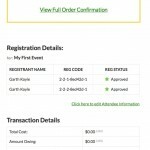 Most of my events do not take a registration. Please add a drop or button, or make it that the ticket is deletable so it does not force a registration. Otherwise this is looking really good! We will work on allowing events without registration forms very soon. Great news on the beta, well done. You posts have confused me somewhat however in relation to discounts for taking the beta and in contradiction the lack of needed add-on support. Does it mean (in simple terms) that the dsicounting will be missed because we can’t implement until 4.1 with an un-clear date? EE4 Beta is only the core plugin right now. Add-ons will be released as they become available and also have a beta period where they will be discounted. I thought you guys were making an affiliate program in the new version. How can I integrate any affiliate program? 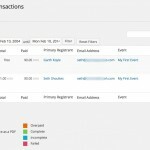 Any idea when Dwolla will be added as a payment option? Is this in the works for EE4? Dwolla is not a currently available available gateway for EE3 so it will likely be later on the list of gateways that we make available unless someone would like to help make it a priority by sponsoring the development. Can I run EE4 in parallel with EE3, (on the same server) so that i can test it out prior to switching over. I have live events on EE3 and would not want to disrupt this until I got a chance to test out EE4. Yes, you can run them on the same server but not the same WordPress installation. Does that make sense? Is there a demo set up I could look at? We are in the process of trying to get that configured. We should have it ready next week. 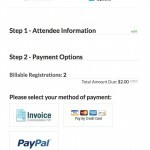 We’d like to set up a payment option with Paypal library (i.e., credit card transaction via Paypal button etc.) combined with the Fudge theme. 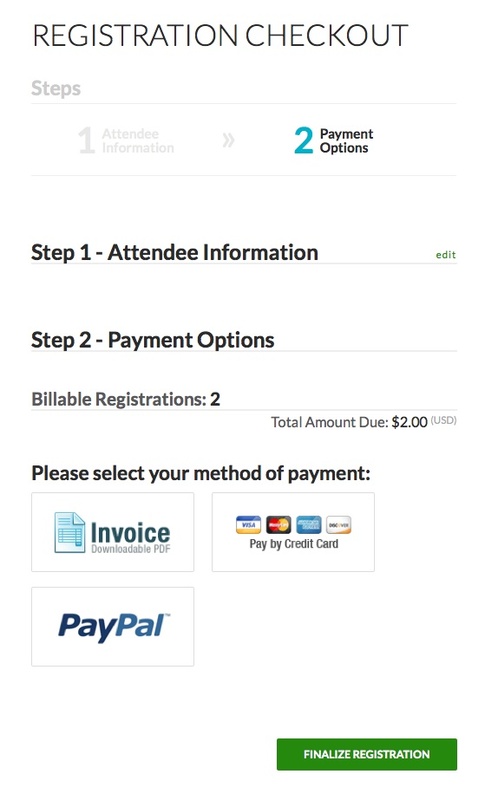 It seems like the EE3 provides the Paypal compatibility naturally, but not sure if EE4 is also having the same functionality. 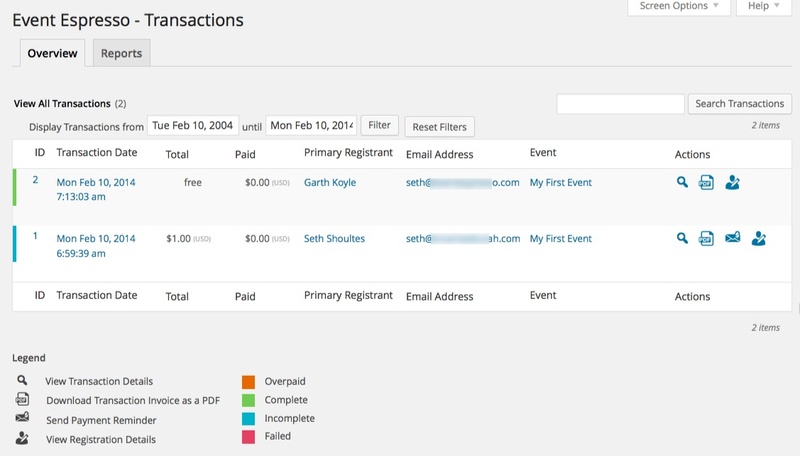 Also, it seems like the Fudge theme is basically compatible with EventBrite and etc. for the ticketing… Do you know whether EE3x or EE4 is compatible with the theme as well? 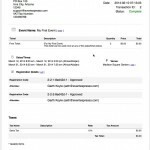 EE4 does come standard with PayPal Standard and PayPal Pro. You’ll have to check with the theme author about compatibility with EE4. I know they’ve had access to EE4 for some time. Thanks for the feedback. We are working on the reordering of questions in question groups. I can’t find the duplicate events button in EE4. Has it moved, I I being blind, or has it disappeared. Hi, update looks great. I can’t seem to find the duplicate button. Has it disappeared? 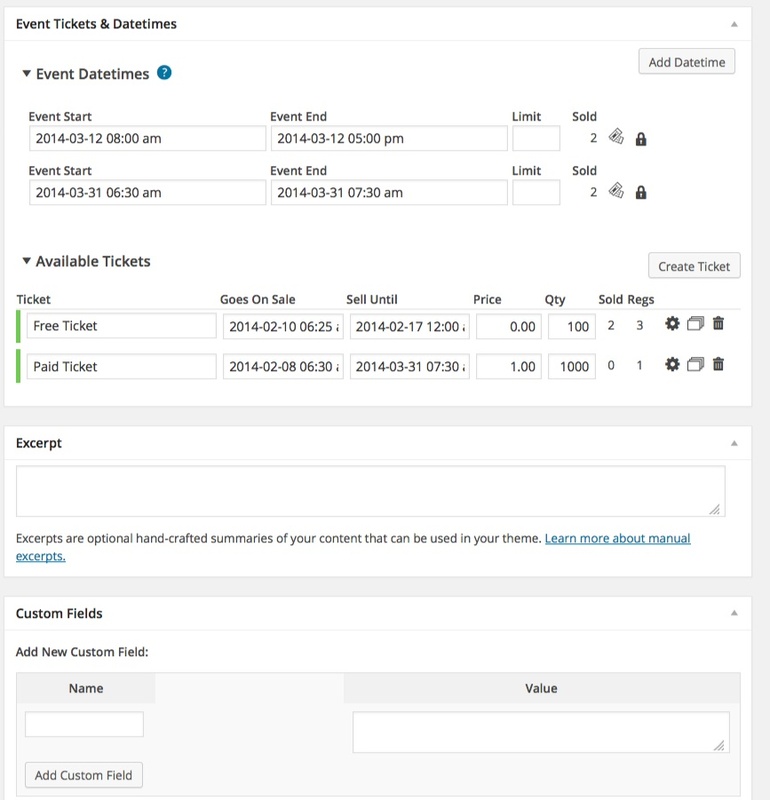 Generally though, EE4 allows you to configure default tickets that can be created automatically with each new event, so after setting up your default tickets in the Pricing Manager then it becomes pretty quick to add similar types of events. I’ve already installed this on a test site – looks amazing! Well done guys. 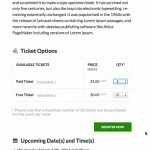 The whole pricing and ticketing system looks MUCH better. 2. 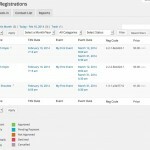 Volume discounts system for group registration – if this isn’t already built into the pricing? Thank you for the feedback and we’re glad you like it. Re volume discounting….you can do tiered pricing volume discounts by setting the min and max ticket quantities per ticket type and set the individual ticket price to a lower per-ticket amount. Then do subsequent ranges of quantities per type of ticket with another per ticket amount. Does that make sense? This is strange. No coupon codes and wait lists?? Will they be available as add-ons, at least? Seem like such basic functionality to delete from an “advanced” version of your software! These features were not “deleted”, they have to be reconstructed to be compatible with the advanced version. This was an intentional decision or else it would be another 6+ months before we could release EE4 (which hurts those who can use EE4 without those features). So with EE4 at this time, I cannot use BeanStream payment gateway? When will the EE4 be able to handle BeanStream? I saw only five or six payment methods available to choose from in the EE4! That’s correct, at this time EE4 has a limited number of gateways. We will be working on expanding that number in future releases. We cannot give time scales, and we cannot currently confirm which gateways will be included and which will not. When is the “official release” of EE 4? and the add-ons? Also, what do we do if our registration heavily relies on coupon codes? Thanks! We can’t comment on an “official release” because that is based on the features or bugs being reported and fixed. If you require coupon codes then we recommend staying with EE3 until they are available in EE4. Membership discount?.. 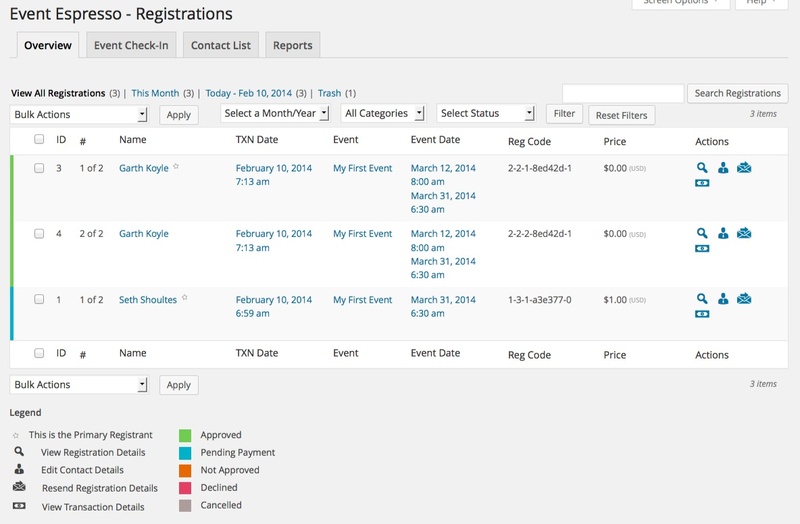 presign up before registering for events? Hi there! I’m just checking in to see if the use of coupon codes is available yet on EE4. Is there anywhere else I should check other than bugging you all here? I just bought EE3, because I read good reviews regarding ticketing: how tickets come with codes that can be read from the mobile app. 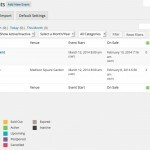 How do you manage guests check in with EE4? Do tickets come with readable codes? Wich version is better for providing efficiency in this matter? Mobile/printable ticketing is not available for EE4 at this time. 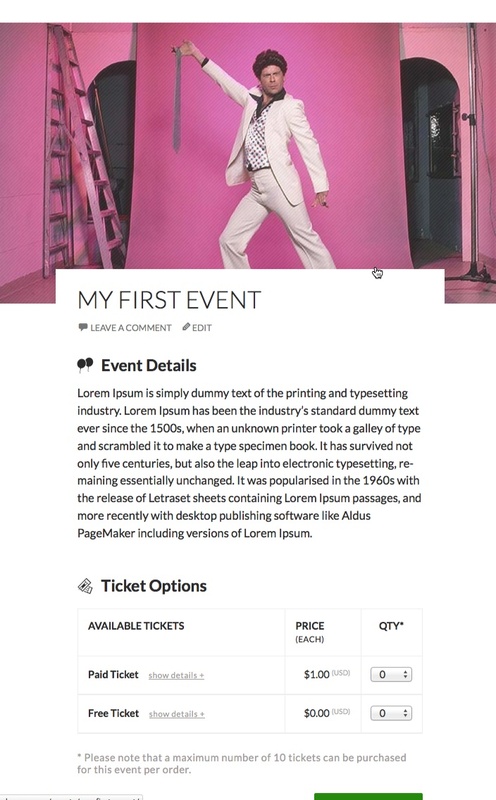 The Check-in features (http://eventespresso.com/features/event-check-list/) is done via the EE admin user interface. So, EE4 offers an alternate solution? I mean, how is the check in managed with that version? Do tickets come with code bars?